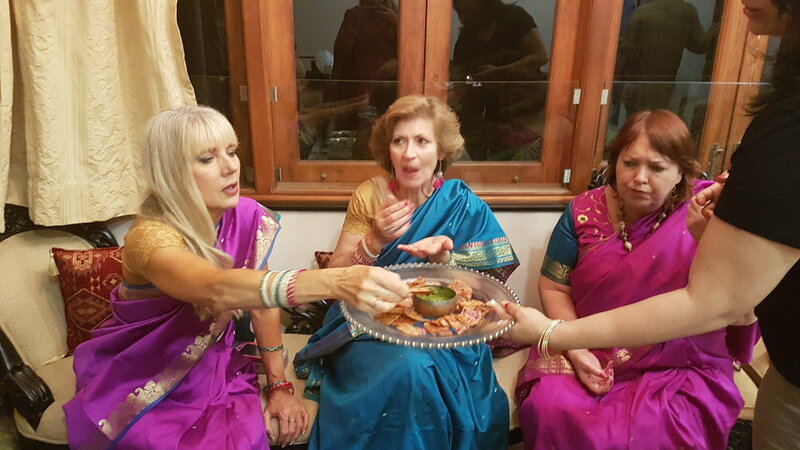 Earlier this year we embarked on our Enchanting India tour. We were an all women group and were having the most bizarre conversations each morning at breakfast. Of course these were (not) about the food. It was such a great trip and we had many highlights from visiting the Taj Mahal to local market experiences and so much more in between. However, a recent appearance on Master Chef Australia brought back memories of a wonderful meal and some amazing people we met. 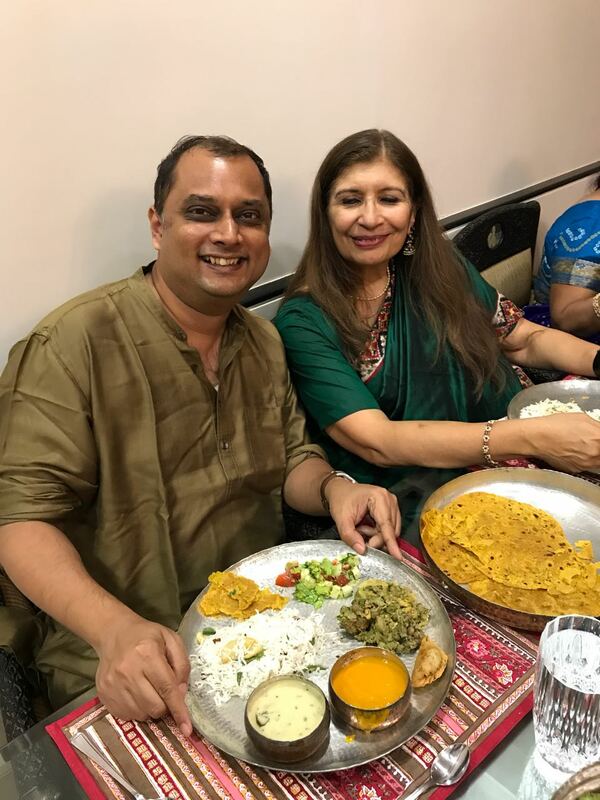 You see my sister is Rushina Munshaw Ghildiyal - She's so well connected in the food world that we always get to have an amazing FOODIE experience. On this trip she said she'd do a spice immersion and invite some friends from the food world for us to meet and enjoy a conversation with. 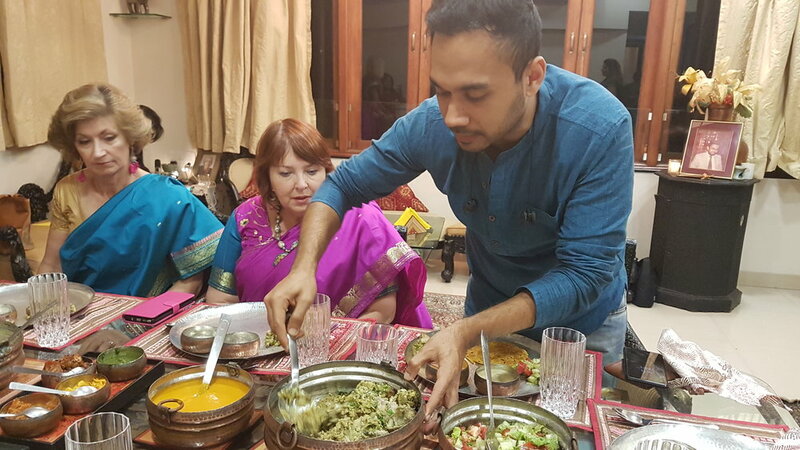 We had a lovely evening in Mum's home with Rushina - Author and Director of APB Cook Studio's in Mumbai , Kalyan Karmakar - a food and travel blogger of Finley Chopped and lastly Saransh Goila of Goila Butter Chicken . 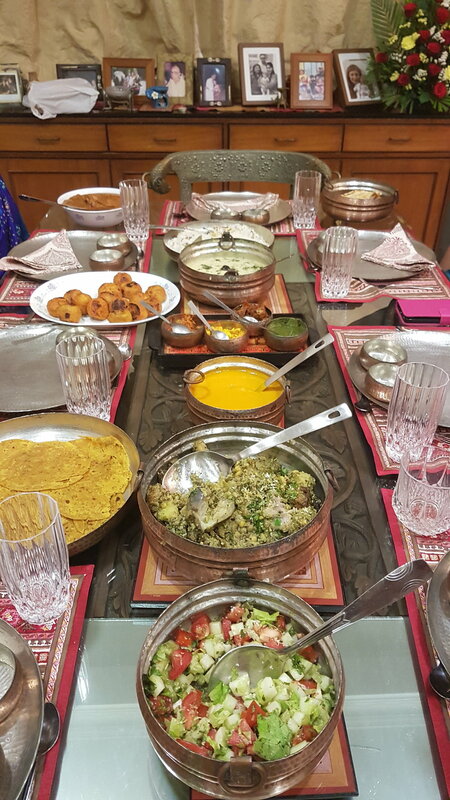 The conversation was non stop with so much to learn and so many view points of food from different regions of India. The spread of food was amazing. 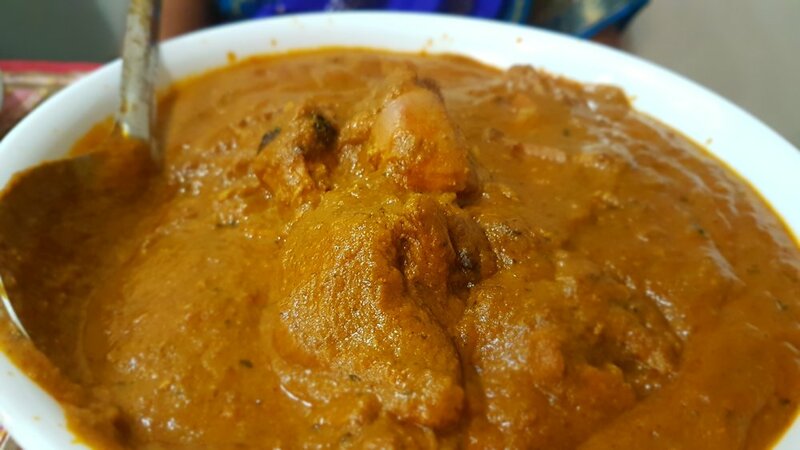 Mum had made traditional Gujarati food and we were lucky enough to be able to try the then famous in India and now world famous Goila butter chicken. 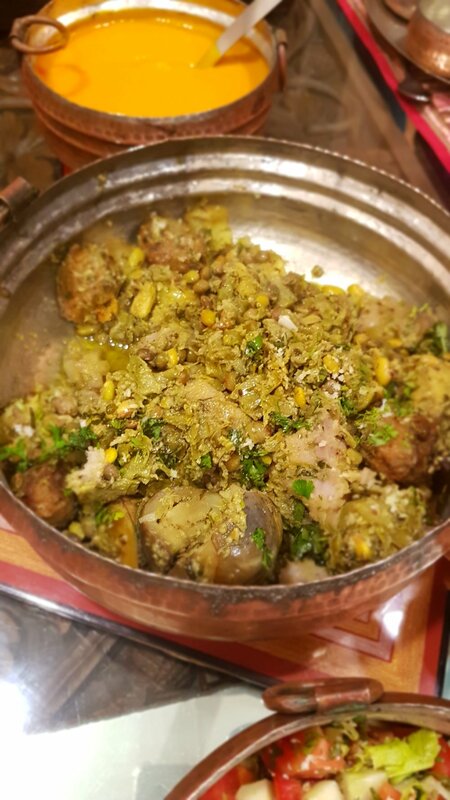 It is everything they describe it to be with the smokey flavours and the tender meat, perfectly paired with the roomali roti it makes my mouth water thinking about it. So when the ladies from the trip saw this handsome face flashing on their TV sets, my phone was suddenly buzzing with messages of excitement of having already tried this amazing food and meeting the butter chicken man himself on our trip in January. 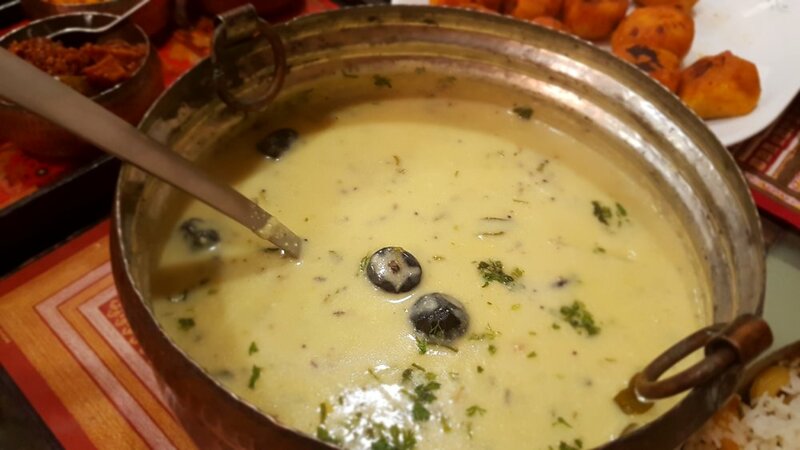 Here are some mouthwatering images from the dinner we enjoyed. If you missed the episode, here is a link to the highlights of the butter chicken man - Saransh Goila on MasterChef Australia earlier this week. Want to try your hand at cooking something delicious? Join us at our home style cooking classes.